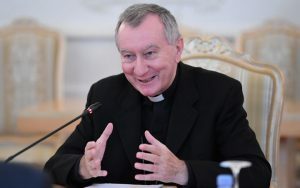 Pope’s ‘number two’, Cardinal Pietro Parolin, will join bishops of Oceania at assembly in Port Moresby to discuss climate change and human rights. WelCom April 2018: The Federation of Catholic Bishops Conferences of Oceania will meet in Port Moresby, Papua New Guinea, 12‒16 April this year, for their four-yearly Plenary Assembly. The Federation is made up of Bishops from Australia, PNG and Solomon Islands, New Zealand and other Pacific nations. The Assembly’s theme is, ‘Care of our Common Home of Oceania: A sea of possibilities’. 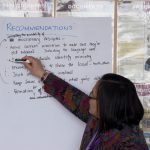 Discussions will include human rights and environmental care and protection, displacement, social unrest, climate change, and harmful environmental practices such as deep-sea bed mining and overfishing. 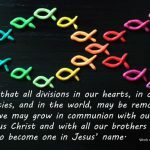 FCBCO Executive Member, Bishop Charles Drennan said, ‘We discuss these matters from the perspective of faith, which sees all creation and human life as a gift from God to be respected and treasured. We are mindful of ongoing unrest and questionable military presence in West Papua as well as growing unsavoury business and political interests buying influence in the Pacific. I am hopeful of a renewed resolve for integrity in governance and sustainable and participatory economic development to arise from our discussions together and with local leaders. ‘We are delighted Cardinal Parolin, the Secretary of State at the Vatican will be with us. His voice will echo Pope Francis’ voice and gestures for justice and care of our planet home’. Cardinal Pietro Parolin, on Pope Francis’ encyclical, Laudato Si’. Governor Powes Parkop, representative of the NZ government’s Foreign Affairs and Trade Ministry, on the conflict between the Indonesian government and portions of the indigenous populations in the Indonesian provinces of Papua and West Papua. Professor Ottmar Edenhofer, world expert on climate-change policy and environmental and energy policy, on Catholic Social Teachings. Fr Clement Taulam of PNG will discuss the situation around Manus refugees and asylum seekers and his work in this area. 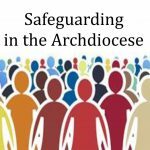 Other sessions will include: an update on preparing for Young People, the Faith, and Vocational Discernment; a report from New Zealand on last year’s national youth festival in Auckland, its survey of young people, and its participation in the pre-Synodal meeting in Rome in March to inform Synodal participants, who will meet in Rome October 2018. Monsignor Gerard Burns, President of Caritas Oceania, will update the bishops on the NZCBC agency work across the region and their work with communities, government and aid agencies on climate change, sustainability, education and advocacy. Attendees will take part in a Mass with local communities and a dinner with the PNG Prime Minister, Peter O’Neill.